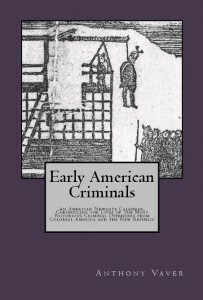 The American Revolution ended the British practice of transporting convicts to the American colonies and threw Great Britain’s criminal justice system into chaos. With no place to send its convicted felons, and without a back-up plan in place, England suddenly saw its prisons and jails quickly filling beyond their capacity. The British Parliament needed to act quickly before the crisis of prison overcrowding turned into a complete catastrophe. In 1775, William Eden, the Home Office secretary, was charged with finding a solution to the crisis of prison overpopulation, now that England could no longer send its convicted felons to America. Eden estimated that England would need to find new accommodations for 1,000 convicts each year, and since the country’s prisons and jails were already overcrowded, there literally wasn’t any place to put them. Both Eden and the British Parliament predicted that the American market for British convicts would open up again at the conclusion of the war with America. With this belief in mind, Eden proposed creating a system of prison hulks by docking in English waters ships that had been originally used to transport convicts to America. These ships would then serve as temporary places of confinement for England’s prisoners until they could be transferred once again to America. Eden immediately put his idea into practice. Starting in 1775, convicts were housed in the Censor and Justitia prison hulks at Woolwich and were put to work dredging the Thames and building docks and an arsenal. Had Eden not come up with the idea of housing convicts on these ships, prison conditions on land probably would have deteriorated to an even greater degree than what would eventually occur on board the newly appointed prison hulks. Soon after placing the convicts in the newly created hulks, Eden presented two bills before Parliament: one to authorize for two years what was already taking place–namely the housing of convicts on board the ships and the use of their labor on public works projects–and one that called for the erection of a penitentiary. 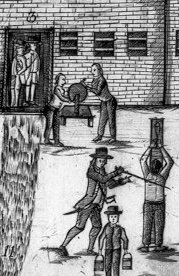 Even though convicts were already residing in prison hulks on the Thames, passage of a bill authorizing the practice was far from certain. George Johnstone, a former governor of West Florida, argued against the hulk bill, contending that convicts should be sent to the West Indies or Canada instead. Johnstone’s argument was countered by those who pointed out that colonies that have remained loyal to the British government should not be punished by having convicts forcibly dumped on them. And unlike Maryland and Virginia, his critics continued, these areas have little need for cheap convict labor, especially in the West Indies where there was already an abundance of slave labor. A market for convict servants simply did not exist in these colonies. The second bill that Eden proposed to Parliament, the penitentiary bill, was not passed until three years after approval of the hulk bill. This later bill not only authorized building a new penitentiary, but it extended the use of prison hulks for another five years. It also set terms of confinement on board the hulks: offenders liable to 7 years transportation could be sentenced to not less than one year or more than five, and offenders sentenced to transportation for 14 years could have their terms commuted to 7 years on board the prison hulks. After passing the first hulk bill, Parliament decided that the prison hulks at Woolwich needed someone to manage them. In the summer of 1776 it awarded the position of Superintendent of the Thames Area to Duncan Campbell, who years earlier had failed to secure the position of Contractor for Transports to the Government. Despite his failure back then to secure this position, Campbell nonetheless maintained influential friends in the House of Commons, and they handed him this new position as compensation for the loss of his convict transportation business due to the war in America. Campbell was now responsible for the welfare of 510 male convicts housed in the prison hulks along the Thames. Prisoners on board the hulks were boarded in the lower decks of the ship, while officers were housed in the stern. The above-deck forecastle of the ship was reserved for the sick, so that breezes could carry away the smells and the infected air emanating from them. During the day, prisoners were removed from the ship and put to work. At night, prisoners slept side-by-side on wooden platforms measuring six feet long and four feet wide. The two prisoners shared a single straw pad and one blanket, both of which often carried vermin. Just as on convict ships, gaol fever (typhus) and other diseases rapidly ran through the prisoners housed on the hulks. Of the 632 convicts who were confined on board the hulks between August 1776 to April 1778, 176 died. During the first twenty years of the hulks’ existence, around 8,000 prisoners were housed on them and almost 2,000 of them died. 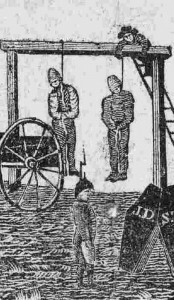 This 25 percent death rate on board the prison hulks almost doubles the 12-14 percent death rate of the convict ships. Despite the original intention of prison hulks serving as a temporary expedient to prison overcrowding in England, they remained an integral part of the British criminal justice system for the next 80 years. Coldham, Peter Wilson. 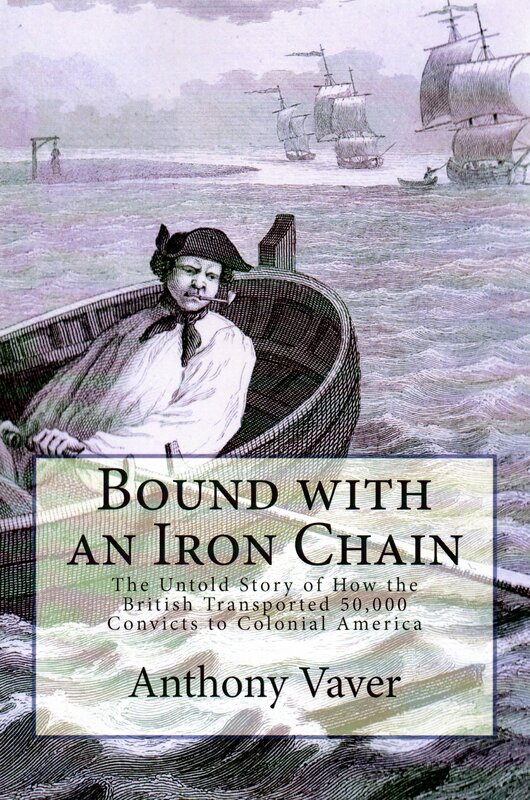 Emigrants in Chains: A Social History of Forced Emigration to the Americas of Felons, Destitute Children, Political and Religious Non-conformists, Vagabonds, Beggars and Other Undesirables, 1607-1776 . Baltimore, Md. : Genealogical Pub. Co., 1992. Colquhoun, Patrick. A Treatise on the Police of the Metropolis; Containing a Detail of the Various Crimes and Misdemeanors … And Suggesting Remedies for Their Prevention. 5 ed. London: Printed by H. Fry, for C. Dilly, 1797. Database: Eighteenth Century Collections Online, Gale. 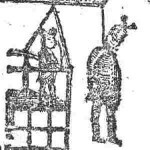 “London, May 24.” The Virginia Gazette (Dixon and Hunter) October 11, 1776, p. 4. Database: CW Digital Library, Colonial Williamsburg Foundation. This was written by Anthony Vaver. Posted on Wednesday, September 16, 2009, at 11:56 am. Filed under 6. The End of Transportation. Tagged Convict Transportation, Criminal Justice System - England, Prisons and Jails. Bookmark the permalink. Follow comments here with the RSS feed. Post a comment or leave a trackback. i would just like to ask what were the hulks like ?